The Progressive Insurance Los Angeles Boat Show showcases hundreds of boats, from entry-level family cruisers to million-dollar yachts, plus marine accessories and gear, and it offers daily seminars. The show is held in February at the Los Angeles Convention Center and in the water at Marina del Rey. The 63rd annual event runs through Sunday. 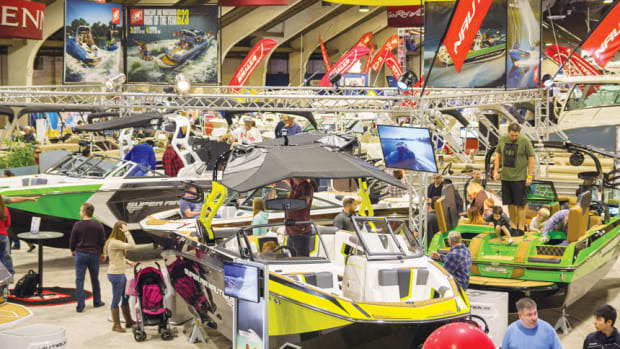 Featuring more than 250 new boats, the 62nd edition of the Los Angeles Boat Show will open Thursday and continue through Sunday at the Fairplex in Pomona, Calif. The 61st annual Los Angeles Boat Show wrapped its four-day run on Jan. 22.